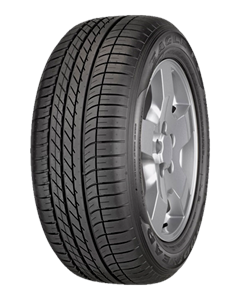 High performance vehicle owners still look for safety first when it comes to choosing a tyre, closely followed by performance and comfort. So the challenge to our engineers was to complement the predictive safety systems found on modern cars and develop a tyre that could control these powerful modern vehicles without loss of performance. The result was the Eagle F1 Asymmetric. Combining our revolutionary Active Cornergrip Technology and Racing Compound derivatives, the pressure is evenly distributed when cornering at high speeds, meaning more contact patch grips the road more of the time.